Lil Yachty to Burberry: "SUE ME I GAVE HIM THE NAME BURBERRY PERRY"
It was reported yesterday that Burberry Perry is being sued by British fashion house Burberry for usage of their centuries-old name, iconic plaid print, and logo. Cease-and-desist letters were sent to Perry, but because Burberry Perry chose to ignore the initial threats of legal trouble, Burberry decided to take the case to court. Perry already seems to be taking the first few steps to remedy what’s happened by removing the album art from his self-titled project—which prominently features the Burberry font, plaid backdrop, and a slightly altered version of their equestrian logo—from his SoundCloud. The next, and perhaps biggest thing to come would be an official name change. 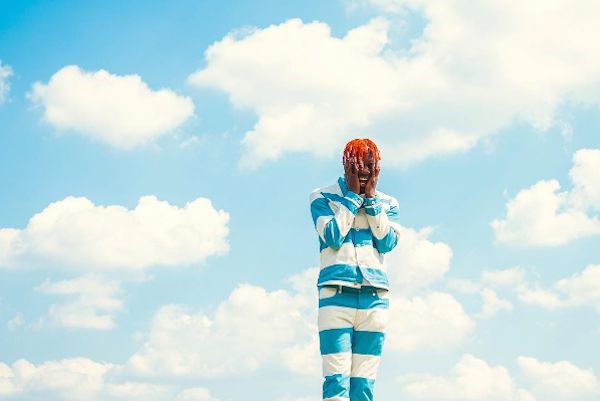 Today, Burberry Perry’s frequent collaborator Lil Yachty took to Twitter to take full responsibility for Perry’s choice of name, telling Burberry to sue him instead. Yachty also hilariously comes up with a couple of alternate names for Perry, such as Blackberry Parrot, which does have a ring to it. In addition to being concerned over Burberry Perry’s usage of their name, logo, and plaid print, Burberry is also reportedly worried over their brand being associated the young rapper. Take a look at Lil Yachty’s tweets below.